How well do you know your Professional Drivers? Are you familiar enough to know what motivates and demotivates them? Effectively keeping your Professional Drivers motivated requires some work on your part- specifically being knowledgeable about each driver’s personality traits. What works for one driver may not work for another and it all depends on each driver’s style. Do you know which of your drivers likes public recognition? What about those who would cringe at the thought of being publically recognized? There are several personality profiling tools available that can tell you how to motivate based on different traits. The tool that we at Strategic Programs, Inc. use both internally and with our clients, is called the PDP ProScan. This tool takes only a few moments for an individual to complete. After it has been submitted, a report is generated that indicates behavioral traits, communication styles, and motivators and demotivators. Having a better understanding of the best ways to communicate and motivate based on personality traits can go a long way in relationship-building. In addition to knowing you current drivers’ personalities and motivators, it is important to gain a better understanding of the motivational factors of the kind of drivers you want to hire in the future. What motivational factors do your best drivers have? Can these be identified with new hires? 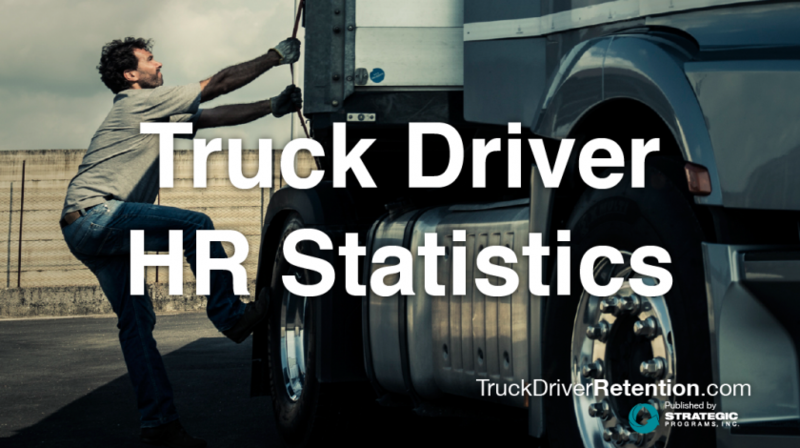 With the trucking driver shortage growing and the desire to attract new drivers to the occupation, understanding what makes drivers tick will help bring them in and keep them with you. Professional development opportunities – let drivers know of any and all professional development opportunities that are available, and when and how to become eligible for these opportunities. Communication from the top down – frequent and effective communication from leadership can have a great impact on drivers’ motivation and engagement; just make sure it’s having the kind of impact you’re intending. A mentoring program – having a resource available to talk to who understands the problems drivers face on the job can be rewarding and motivating for most of your drivers. As a bonus, the relationship is typically quite rewarding for the mentor just as much as it is for the mentee. Understanding how to motivate your drivers and keep them motivated can mean the difference between an engaged and safe workforce and a lot of empty seats.